The National Junior Indoor Rowing Championships took place at the Copper Box Arena in the Queen Elizabeth Olympic Park London on Friday. 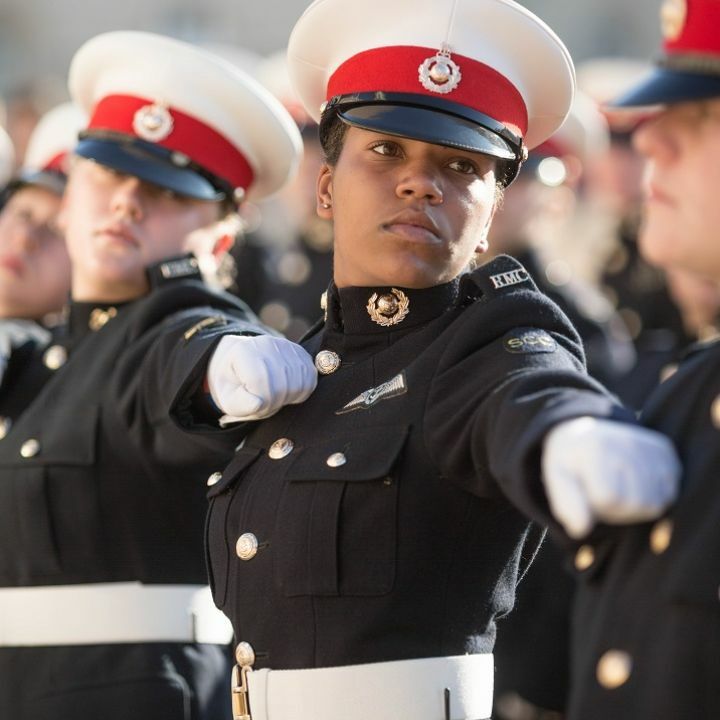 The SCC was represented by over 40 Sea and Royal Marines Cadets from London, Southern and Eastern Areas with cadets travelling from Scarborough, Salisbury, Medway, Walton on the Naze, Newham, Southend, Rickmansworth, Newham, Chiswick, Kingston, Beckenham and Chislehurst and Sidcup to take part, along with their team managers, supporters and drivers. 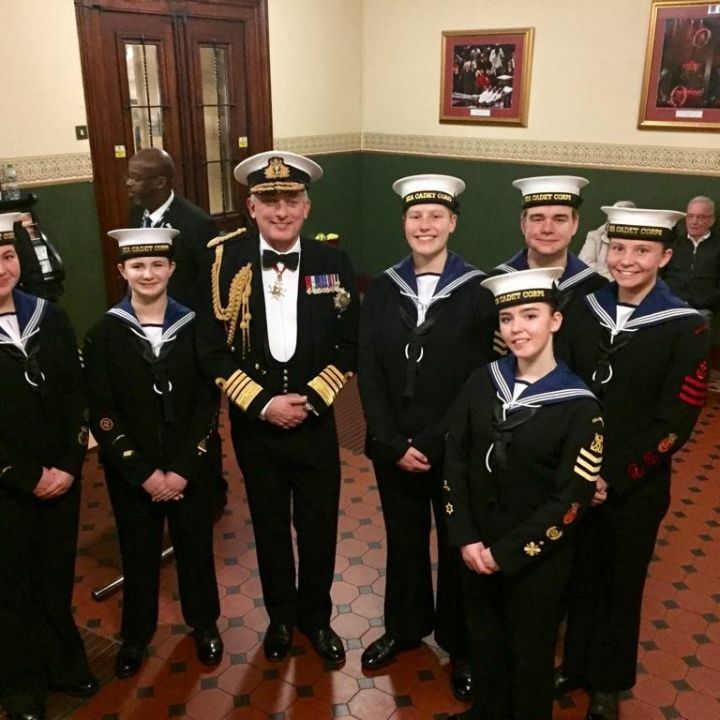 This year we had a group of cadets from the recently formed Medway Victory Unit - TS Temeraire which is a CEP Unit in Kent. 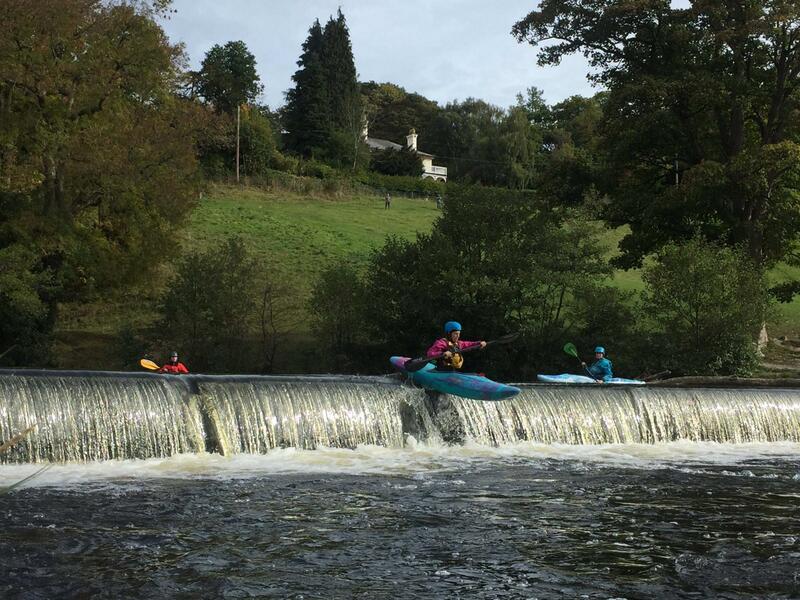 NJIRC is a hugely popular event with over 2000 rowers taking part from schools, rowing clubs and other organisations across the country. Commander James Nisbet Area Officer London came to give his support with the London Area Training Manager Cliff Lewis. 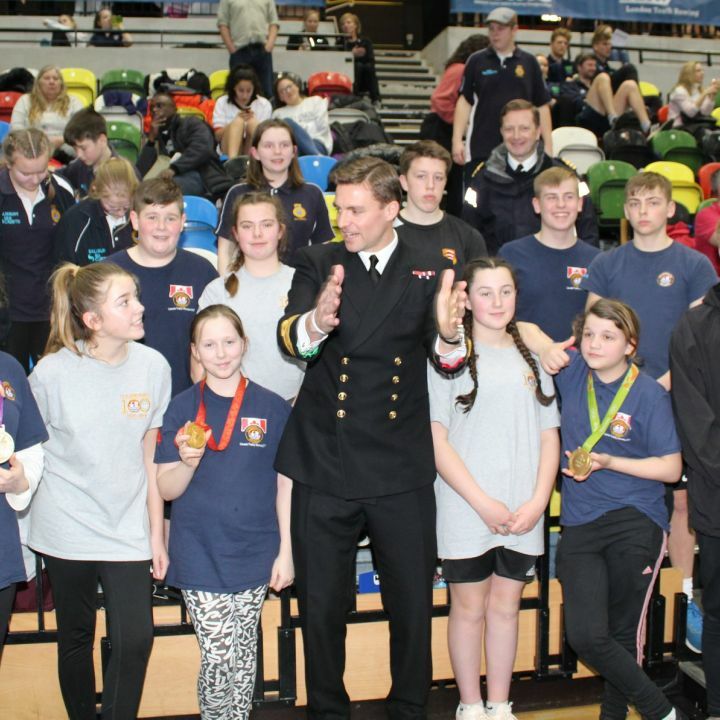 Also, at the event was Olympic Medal Winning Rower Lt Cdr Pete Reed OBE RN who took pride in showing his winning medals to the cadets. Although there were no SCC medal winners on the day in either the single or relay races all of the cadets gave their all and behaved impeccably throughout racing against some top-flight rowers. Huge BZ to all of the cadets that took part and thank you to all of the adult volunteers who gave up their time to facilitate their cadets taking part.